Life can definitely be hectic at times. I’m sure between family commitments, work responsibilities, and everything in between, there are at least a few days each week where you find yourself eating on the go. 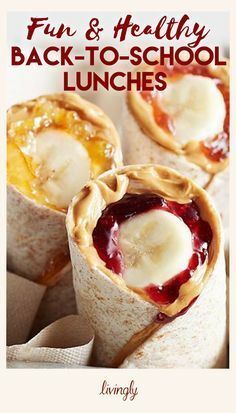 But what happens if you don’t plan ahead for these quick meals and snacks? 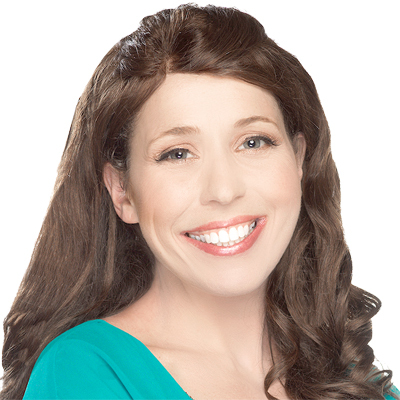 You probably find yourself at the mercy of choosing between whatever is available in the office vending machine or whatever fast food restaurant you are passing as you drive from one chore to the next. Grabbing food mindlessly when you are busy can be unhealthy for anyone, but if you have diabetes, the impact can be even more damaging. Eating the wrong foods on the go can lead to spikes in blood sugar levels. And even worse, if you forget to eat all together, you run the risk of having your blood sugar crash to dangerous levels. This post has been created in partnership with NuGo Nutrition. All opinions are my own. The good news is healthy eating on the go is possible. Being busy and short on time to prepare meals doesn’t have to lead to poor blood sugar control. You just have to keep the right options on hand. 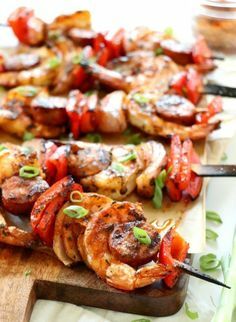 Foods rich in protein, low in added sugars, and high in fiber make the best options for satisfying hunger while keeping blood sugar in check. My go-to options for myself as well as my clients are raw veggies and hummus, cheese with whole grain crackers, nuts, and NuGo Slim bars. If you are looking for a bar option that tastes great and is perfect for managing blood sugar levels, I can’t recommend NuGo Slim enough. And it’s not just because these bars taste amazing! With only 5 to 6 grams of net carbs per serving, NuGo Slim bars have been tested and verified very low glycemic index of 24-29 to help avoid blood sugar spikes. They also pack in 16 to 18 grams of protein per bar to help you stay full and satisfied in between meals. And the best part about every bar is that they are made with real dark chocolate! Unlike many bars that swap out natural cocoa butter for unhealthy palm kernel oil with that waxy texture you probably are familiar with, all NuGo bars use real dark chocolate so you can feel good about the ingredients you are putting into your body. 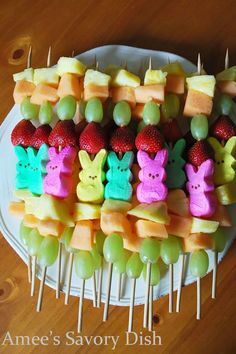 I also love how these bars are made lower in sugar. 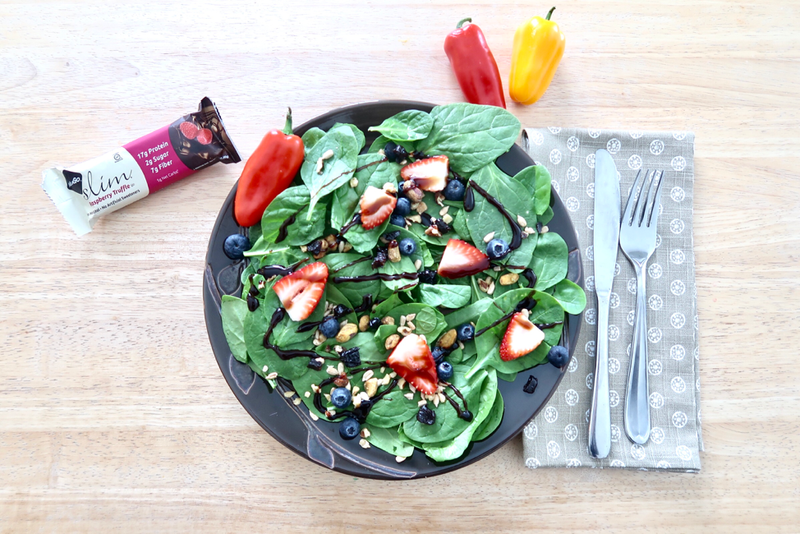 If you prefer to avoid artificial sweeteners, you’ll be excited to know NuGo Slim uses chicory root fiber, a prebiotic fiber that has been associated with improvements in both blood sugar management and a reduction in body weight. 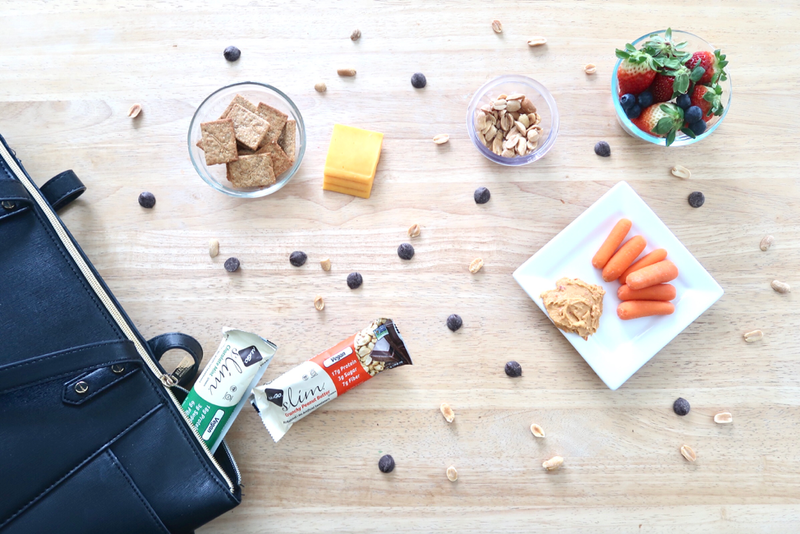 So why is it so important to keep healthy snacks on hand when you are on the go. Well, think about the last time you waited too long to eat and became very hungry. What happened? My guess is that you didn’t hit up the salad bar, right? You probably craved foods rich in carbs and fat, ate too quickly, and eventually ate too much. We’ve all been there- myself included. And although this can be damaging to anyone’s health if you eat like this often, for someone with diabetes the health impact is felt immediately. When you overeat, especially if you eat too many carbohydrates, blood sugar can spike, which not only can damage your body cells, but can also further increase insulin resistance. When this happens, it gets even more difficult to manage diabetes. 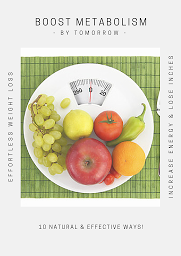 One of the best ways to manage blood sugar levels in a healthy way is to plan a light meal or snack every few hours. 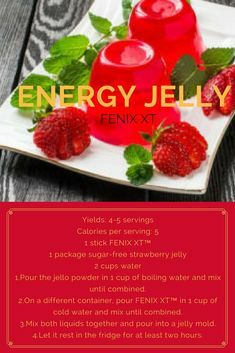 This helps to prevent excess hunger, keeps blood sugar steady throughout the day, and can help with keeping appetite in check to prevent those annoying cravings. 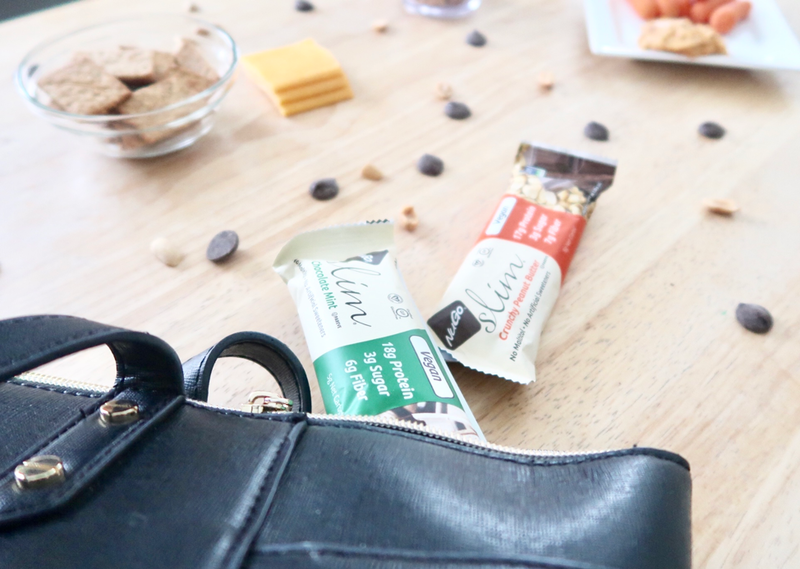 And that’s why I always keep a stash of NuGo Slim with me where ever I go: they are in my desk at the office, in my purse for when I am running between meetings or chores, and at home in case a sweet craving hits. And by having these bars with me, I can stay ahead of hunger and keep my blood sugar consistent- which also helps to keep my energy steady throughout the day. One of the biggest reasons I personally try to stay ahead of hunger is because of my very big sweet tooth. If I start to get overly hungry, I can almost guarantee I am going to start looking for chocolate anywhere I can. And I know I’m not alone here! The problem with sugar cravings though is if you act on them by eating a food packed full of added sugar, it leads to spikes in both blood sugar and insulin levels. This drives even more sugar cravings – a viscous roller coaster of cravings that’s hard to stop. So instead of ignoring sugar cravings (because I am sure you know how hard that can be! ), I act on them, but in a healthier way. 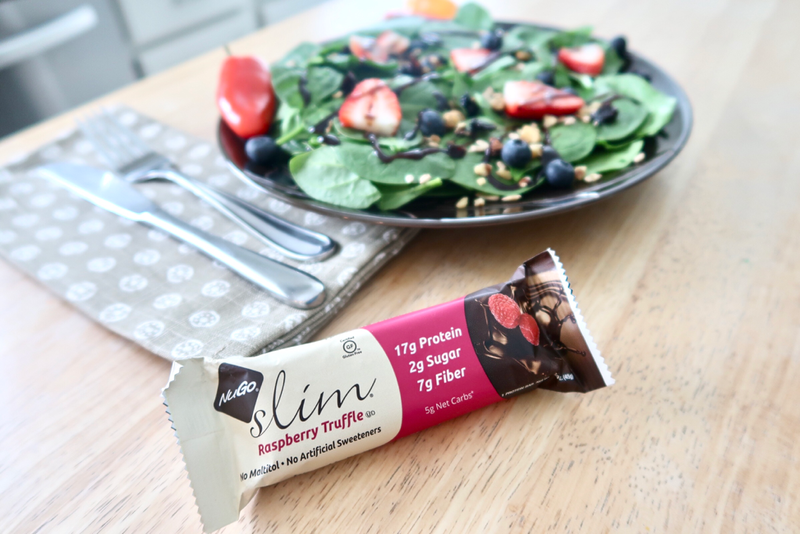 If I am craving chocolate, I reach for one of my favorite NuGo Slim bars (usually the Raspberry Truffle or Chocolate Mint) and have it as a snack or as part of a balanced meal. The real dark chocolate completely satisfies my craving, but since the bar contains little added sugar and provides a good source of protein along with fiber, I don’t find myself craving more chocolate (or any other sweets) anytime soon.